Family and friends will assemble at the graveside in the Dickson Union Cemetery on Sunday, April 7, 2019, at 2:00 p.m. for graveside funeral services. Bro. David Peeler will officiate. There will be no visitation. Place of rest will be in the Dickson Union Cemetery. Those desiring, memorials are suggested to the charity of your choice. 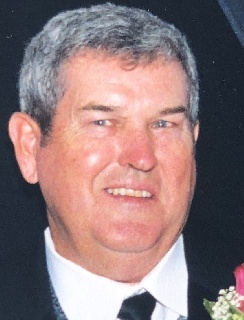 Mr. Sullivan, age 79, of Erin, TN died peacefully April 6, 2019, at his home. He was born December 30, 1939, in Dickson and was the son of the late Harvel Clark and Edna Peeler Sullivan. He was retired from the Ford Glass Plant with 30 years of service. Ralph served as councilman of the second ward on the Dickson City Council for 30 years and was a longtime deacon at the Oak Avenue Church of Christ. Ralph was active in numerous organizations including serving as a Boy Scout leader for many years; he formerly served as president of the Farm Bureau of Houston County and was active with the Five Rivers organization. He was a 1958 graduate of Dickson High School. Ralph and Laura retired to the Bateman family farm in Houston County and spent their time farming, hunting, fishing, and loving on their grandchildren. Survivors include his wife of 58 years, Laura; son Mark and wife Lori; grandchildren Katie Sullivan, Emily Burgess and husband Allen; great-grandson, Jude; daughter Melissa Russell and husband Mark; grandchildren Andrew, Sarah, Katherine, and Elizabeth; son James and wife Lisa; grandchildren Jackson, Owen, and Hensley; brother Bobby and wife, Martha; sister Lila Meek and husband, Johnny, and many loving cousins, nieces and nephews.